ELIXIR > Promotions > Marc Jacobs Daisy Dream – win a 50ml eau de parfum worth £52 in our competition – now closed! 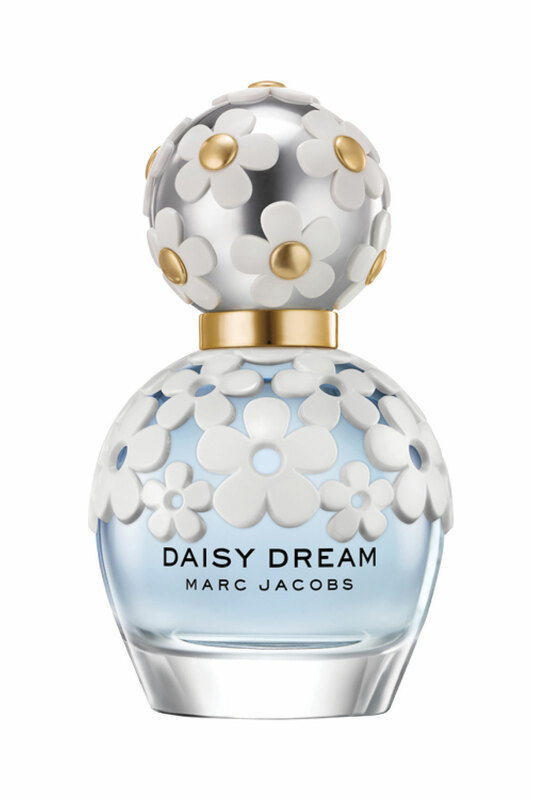 Marc Jacobs Daisy Dream – win a 50ml eau de parfum worth £52 in our competition – now closed! This is the newest perfume from the absolutely adorable Marc Jacobs Daisy range. Daisy Dream is a light and airy perfume which would be a perfect present for someone whose tastes in perfume you are not sure about – that’s because there is nothing not to like about this floral and fruity scent. It has heart notes – jasmine, lychee, blue wisteria; top notes – blackberry, grapefruit and pear; base notes – white woods, musks coconut water and of course its very very feminine. Of course its in one of those wonderful iconic bottles covered in white and gold daisies. We would all love a dress to match – and maybe some nice daisy pumps too!! You can win one of these lovely perfumes. Just answer the simple question below. Goodluck! OUR WINNER IS Mrs Ann Whittle, Newport, Isle of Wight. This entry was posted in Promotions and tagged competition, Daisy, Daisy Dream by Marc Jacobs, eau de parfum, Marc Jacobs, perfume by admin. Bookmark the permalink. What a lovely prize, this would make someone very happy. Hi. Just entered your prize draw. Good page. Good prize. Wish me Good luck. Good bye. I adore the simplicity of daisies, added to the intricacies of the perfume. Perfect for Spring, this delightful fragrance would make me feel as fresh as a daisy! !